We will create a customized training program tailored to your team's specific needs. You can choose to hold the training at an AppsFlyer office or let AppsFlyer come to you at the location of your choice. 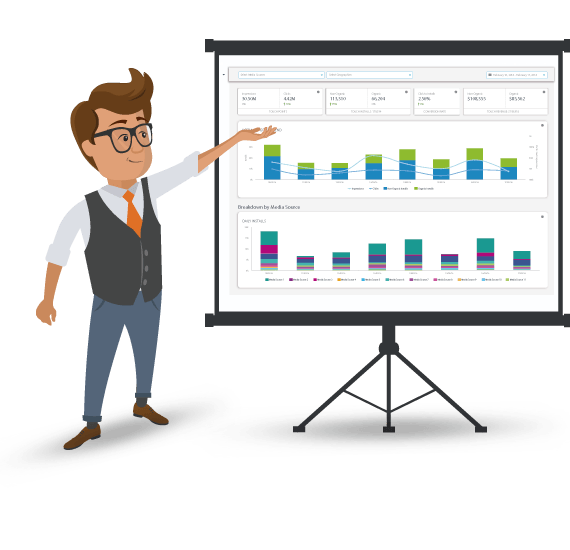 AppsFlyer's MasterClass is a no brainer for anyone who is starting out in mobile attribution and analytics! Not only was it an amazing learning experience but I was able to immediately take what I learned in MasterClass and apply it to my day to day work responsibilities, which was, to steal a term from the class, great ROI. From the plethora of information to the hands on learning exercises, to the fantastic lunch and happy hour, everything was thoughtfully prepared. Right after our MasterClass Training, our ability to incorporate advanced data measurement into our daily business-making process increased dramatically. It has allowed us to make smarter decisions across the board. It's amazing what you can learn from one MasterClass and the immediate action you can take to significantly improve efficiency. I really enjoyed the session and I think every media manager in agencies should attend AppsFlyer MasterClass. Thank you for a great training! Appsflyer's MasterClass revealed the secrets behind how to successfully and effectively do Mobile Marketing. As a new startup time is always at a premium so having the chance to learn so much from a leader like AppsFlyer in a single day was invaluable. We really enjoyed the class and now we're ready to use the platform even more efficiently than we did before. Thanks a lot AppsFlyer!